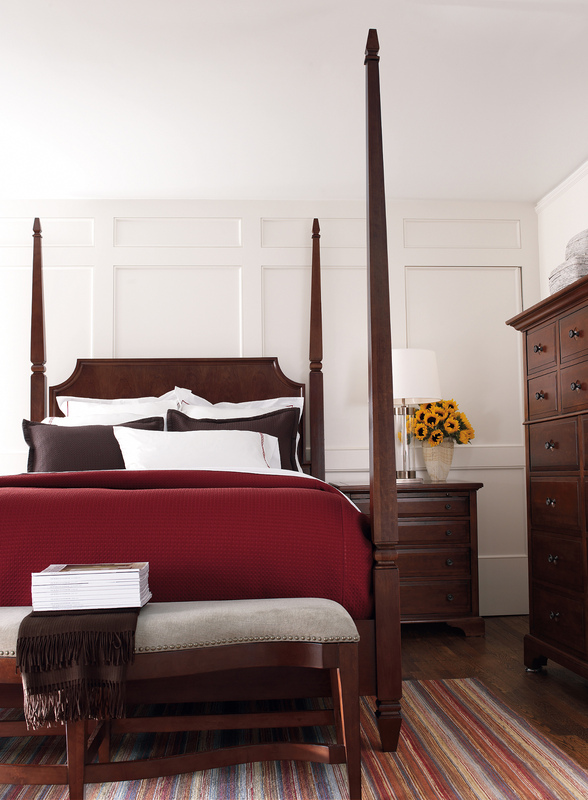 Includes: Queen Adjustable Poster Bed, Ten Drawer Dresser, Fourteen Drawer Chest, Three Drawer Night Stand, Landscape Mirror. 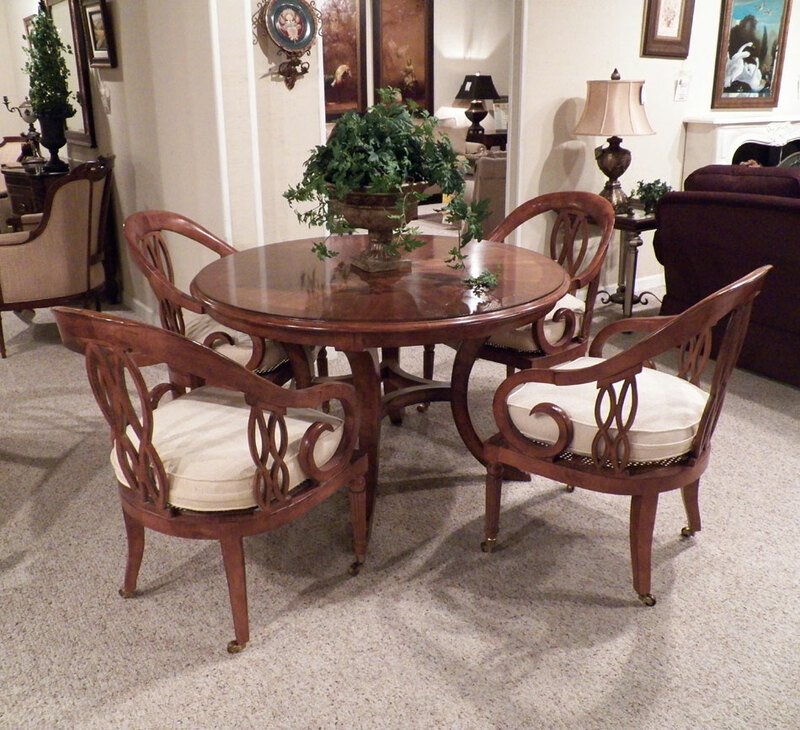 Includes: Round Party Table and 4 Side Chairs. Features include: Cane seats underneath beige textured fabric. Chairs sit atop casters. Deck Features include: One Stationary Shelf, Four Adjustable Shelves, Cord Management Openings and Cutout Back Panel. 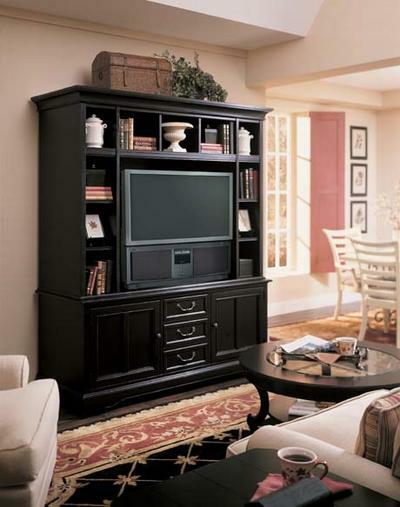 Base Features Include: Two Doors, Three Drawers, Adjustable Levelers. 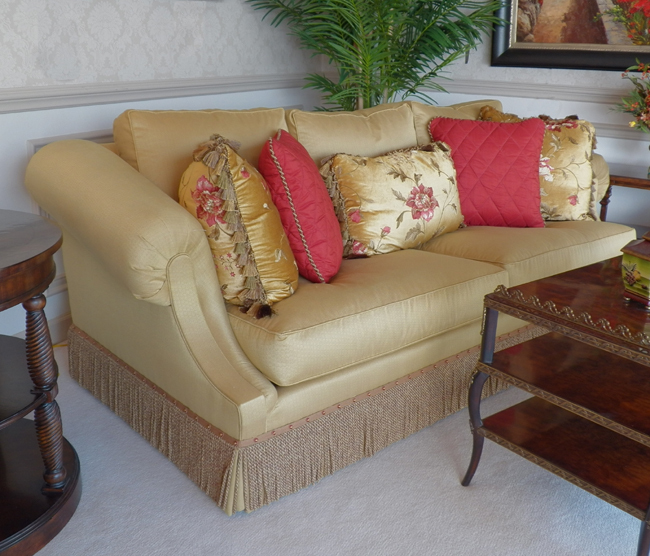 Features include: Golden Fabric As Shown, 5 Coordinating Pillows as Shown, Bullion Flounce Trim Skirt. 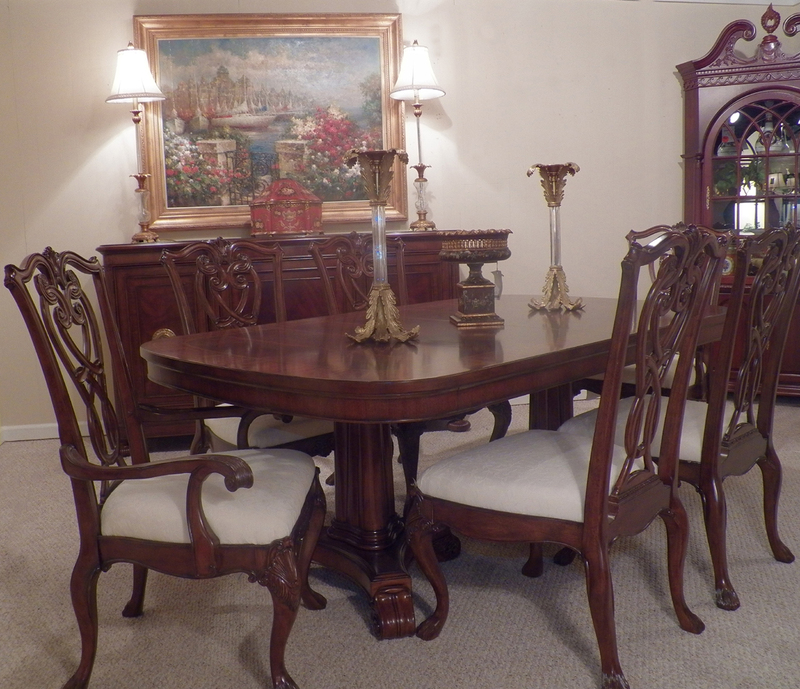 Includes: Rectangular Dining Table that will extend to 120", Six Ball and Claw Dining Chairs (2 Arm, 4 Side), and Buffet.